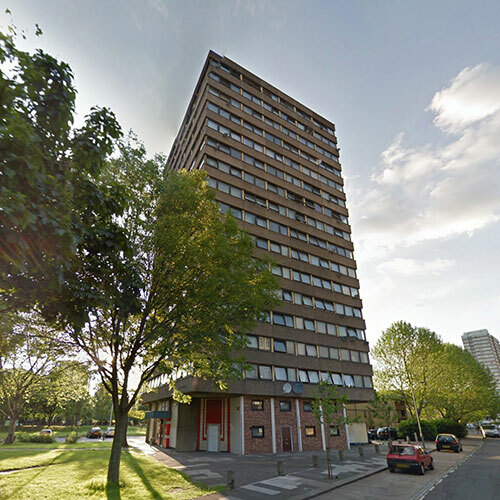 The regeneration of Inkster House and Penge House forms the first stage of a larger regeneration of the York Road estate. 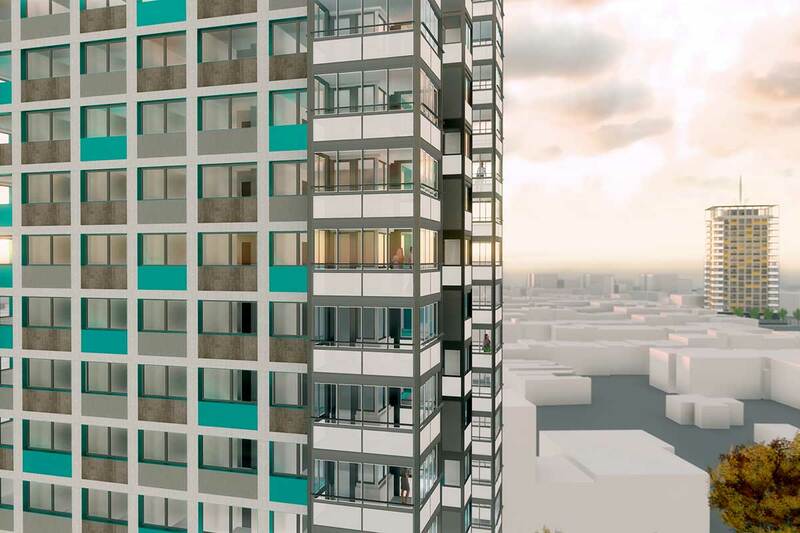 The refurbishment of each tower will consist of over-cladding with insulated Trespa panels, the additional private balconies to all flats, roof renewal, window replacement to improve thermal performance, improvements to kitchens and bathrooms and the construction of new flats around the base of each tower. The works employ sustainable features such as Blue Roofs, Green walls and solar panels to reduce the energy costs and environmental impact of the towers. A close engagement with the residents, through public consultations and social media has enabled us to tailor our designs to better meet the need and concerns that have been expressed. Through the use of BIM and 3D modelling to produce images, videos and interactive 3D walk-throughs, we have been able to clearly express our design intent to the residents and client, which has in turn received an overwhelmingly positive response. We procured sub-consultants to provide structural engineering and mechanical engineering services. 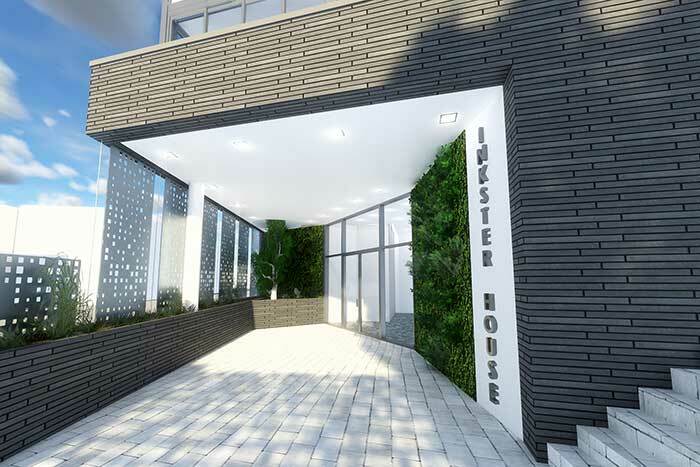 Our design intent for the regeneration of Inkster and Penge houses is to create a sense of place for the residents and significant benefits to them from the renewal works. These include installation of winter gardens to every flat giving everyone more living space. 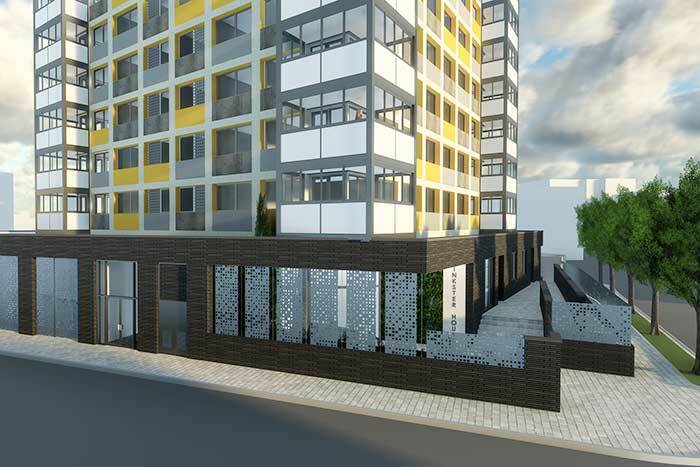 A new entrance lobby with updated security and new flats at ground level to provide much needed new homes. 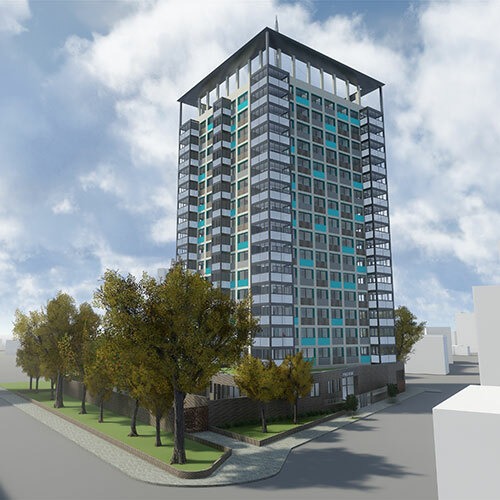 Externally, the tower will be over-clad including new windows to give the building another 50 years of life, creating a 21 century place to live.